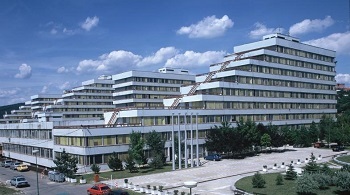 The Faculty of Electrical Engineering and Information Technology of the Slovak University of Technology (FEI STU) is one of the 7 faculties of the STU, the oldest (1940) and largest (20000 students) university of technology in Slovakia. Its substantial lines are modern, internationally accepted university study, intensive scientific and development research and cooperation with academic and industrial partners in Slovakia and abroad. The Institute of Computer Science and Mathematics, as a part of FEI STU, is responsible for the study program Applied Informatics. 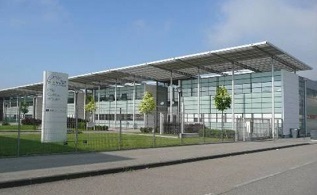 One of its departments is the Department of IT Security. The cryptology education has began in 1984 as the first in former Czechoslovakia. In 1986 O. Grošek and K. Nemoga established a new research seminar CRYPTO which is still a main center of cryptology research in Slovakia. Since that time the Crypto-group has formed the core of the Department of IT Security, a National center of excellence participant, focusing on teaching cryptography and IT Security, participating actively in international collaborations, training candidates of high expertise for government and industry. The present staff consists of 4 professors, 4 postdocs, 6 Ph.D. students, and 38 Master degree students. More information is available online. Besides organizing other conferences, the Department is also a founder (since 2000) of the series of Central EuropeanConferences on Cryptology. As the largest and most comprehensive university of in Israel, Tel Aviv University has a student body of more than 30000 students. TAU has more than 125 schools and departments across the spectrum of sciences, humanities and arts. TAU places a strong emphasis on research excellence in its culture, hiring and resources, and is ranked 11th worldwide in the USNews citations score. 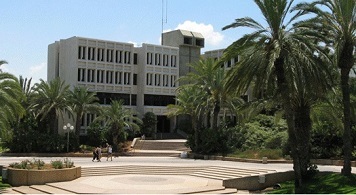 Tel Aviv University’s School of Computer Science (TAU CS) has a comprehensive IT infrastructure including services such high-speed network connectivity, web and file servers to support publications and collaboration, and videoconferencing services. TAU CS also offers technical and financial administration services and comprehensive libraries services. Lab infrastructure for hardware implementations and cryptographic experiments exists in the PPD’s Lab for Experimental Information Security, and at the adjacent TAU School of Electrical Engineering. The TAU Center of Nanoscience and Nanotechnology offers additional technical capabilities, such as advanced microscopes, focused ion beam and device fabrication services. TAU CS, and the PPD in particular, have a close collaboration with Israeli industry, such as the Check Point Institute for Information Security co-founded with Tel-Aviv-based Check Point Ltd., which offers valuable perspectives on real-world needs and impact. Université Jean Monnet is located in the towns of Saint-Etienne and Roanne, in the Rhône-Alpes Region in France. Its population has a tradition of hospitality only to be found in towns of this human scale. Research graduates are integrated into some 30 research units covering the majority of fields of scientific research. Our University not only actively encourages research but has equally established an open policy on the world driven by our wide participation in international research projects and the emphasis we give to incoming and outgoing mobility. The Hubert Curien laboratory is a joint research unit within the Jean Monnet University, Saint-Etienne and the National Research Centre "CNRS". It’s therefore the mixed research unit UMR 5516 with 70 researchers and teacher-researchers who are permanent staff, 18 engineers and administrative personnel, 55 PhD and post-PhD students. This makes the Hubert Curien laboratory with a total of 143 staff the most important of all Saint-Etienne’s university poles. Viktor Fischer and Pierre-Louis Cayrel are two permanent researchers in this laboratory working on cryptography for several years and aiming at developing post-quantum secure cryptosystems in the theoretical and practical sense. The main contribution from the project partner from France will be on the theoretical side and practical sides, providing software implementations of different code-based cryptosystems and theoretical proofs of their security. Florida Atlantic University (FAU) serves more than 30,000 students. Just recently, the National Security Agency and the Department of Homeland security designated FAU as a National Center of Academic Excellence in Information Assurance Research for the academic years 2012-2017. 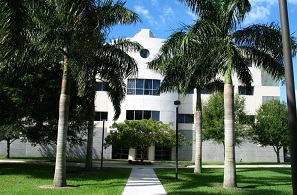 The Center for Information and Cryptology and Information Security (CCIS) was established in 2003 as an FAU College of Science center with funding provided by a Federal Earmark, and by now extends across four different colleges within the university. The current director and co-director of CCIS (the latter also being co-director of the U.S. project partner) are with FAU’s Department of Mathematical Sciences. This department has an established track record of research in cryptology, including the exploration of post-quantum cryptography and hardware-supported cryptanalysis. Moreover, the listed team members Rainer Steinwandt and Spyros Magliveras have been involved in the organization of several meetings related to cryptology, and are currently co-managing editors for Walter de Gruyter’s Journal of Mathematical Cryptology. The main contribution from the project partner from the U.S. will be on the theoretical side---exploring provable security properties, identifying adequate parameters, and exploring the potential of attacks involving quantum computers.